Flower Mound is centrally located in North Texas near the Dallas-Fort Worth Metroplex, Flower Mound is a family-oriented community that prides itself on maintaining a small town atmosphere while embracing and fostering a dynamic economic development environment. After experiencing unprecedented residential growth in the 1990’s, the Flower Mound now actively promotes a burgeoning commercial development scene centered around the Lakeside Business District, located on the North Shore of Lake Grapevine, and the Denton Creek District, located in the growing I-35 West corridor. Providing quick and convenient access to the cities of Dallas and Forth Worth, DFW International Airport, and numerous recreational opportunities, Flower Mound has emerged as the best place in North Texas to live, work, and play. There are very few unchallenged facts about The Mound. 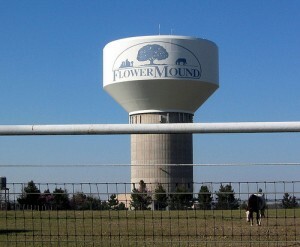 The Town of Flower Mound derived its name from it, it rises 650 feet above sea level, and it stands 50 feet above the surrounding countryside. Texas’ eminent historian, the late A.C. Greene, believed the hill received its name in the 1840s because of an unusual amount of wild flowers that grew on it. This area was part of the great American Black Land Prairie that ran from Canada to the Rio Grande and from the Rockies to the Mississippi. Only 1,000 acres remain of the original 20 million known as the Tall Grass Prairie.